Most India-based firms have protections in place, says VP. Other risks for the Indian economy stem from the government turning more populist ahead of 2019 polls and a sharper-than-expected domestic growth slowdown, which in turn will trigger equity outflows, Nomura added. 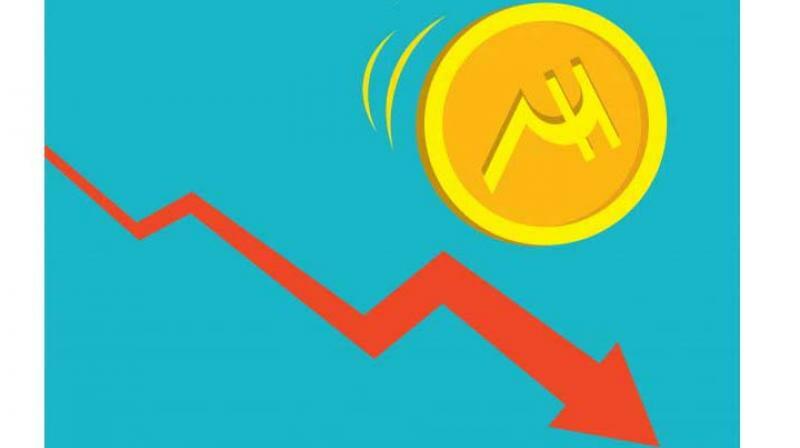 New Delhi: Moody’s warned on Monday that sustained weakening of the rupee would be credit negative for Indian companies. “A sustained weakening will be credit negative for the Indian companies we rate, particularly those that generate revenue in rupees but rely on US dollar debt to fund operations and have significant dollar-based costs, including capital expenses,” said Moody’s. However, Moody’s VP and senior credit officer Annalisa DiChiara said that nevertheless, most rated India-based corporates have protections in place — including natural hedges, some US dollar revenues and financial hedges — to limit the negative credit implications of a potential further 10 per cent weakening of rupee to dollar from Thursday’s rate. It said that weaker credit metrics under such a scenario can be accommodated in the companies’ current rating levels. Refinancing risk associated with US dollar debt over the next 12 months is also manageable, said Moody’s. The conclusions, contained in its report, are for the 24 rated corporates, said Moody’s. “Furthermore, impact of rupee’s weakening will be diverse and will also depend on issues such as a particular corporate’s reliance on exports, its cost base, and its exposure to pricing on international markets,” said DiChiara. Of the 24 Moody’s rated India-based corporates across the high-yield and investment grade categories, 12 generate most of their revenue in US dollars or have contracts priced in US dollars, providing a natural hedge, and thus limiting the effect a weakening in the rupee could have on their cash flows, it said. The cost base for these firms are also largely rupee denominated, meaning they could see some cash flow benefit, it said.